Are you about to attend an engagement party? It’s often tough coming up with great gift ideas for happy couples. Even if you’ve known these people for quite some time, it’s never easy presenting the perfect gift at an engagement party. Plus, you want to give them something that they will both care about and cherish. Since you really love this couple, you want your gift to make them happy and feel special. With that in mind, there are certain extra special gifts that are perfect for happy couples with a flair for the dramatic. Let’s take a look at some of the best options. The odds are that if this couple already has a flair for design, they most likely love entertaining guests as well. So, it makes sense that they would truly appreciate barware and other accessories. But what should you get them? Well, there are a number of options to consider. A bar cart is certainly one great gift that the happy couple would not soon forget. 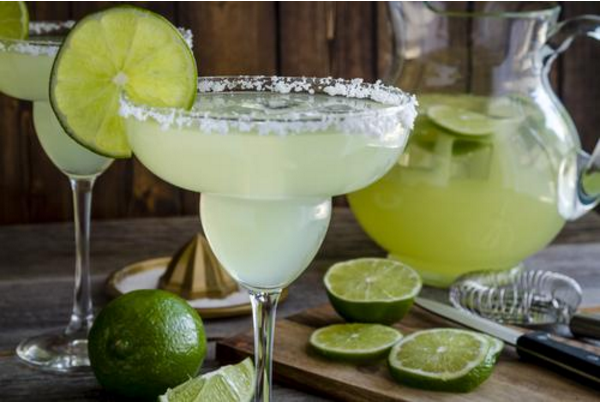 Or you can get them a sleek serving tray for cocktail parties. And if that doesn’t tickle your fancy, you could always buy them an old-fashioned decanter or an impeccable bottle of wine. Most happy couples love alcohol and alcohol related gifts. This is especially true if they enjoy entertaining on a regular basis. So getting barware and other drink related accessories is a fantastic idea. Getting a happy couple a personalized, gorgeous acrylic mounted photo shows them that you truly care. It shows them that you really considered their gift and wanted to get them something special that they can cherish for many years to come. 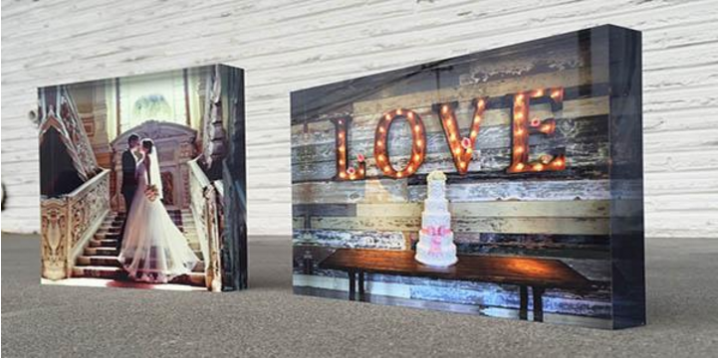 According to the experts at Bumblejax.com, “It’s never been easier to transform your digital photos into stunning, gallery quality art using unique materials…” As you can clearly see, giving this amazing couple a personalized mounted photo will definitely get their attention. These acrylic blocks from Bumblejax are beautifully diamond polished and stand on their own or can hang on the wall. And if you are lucky enough to use a photo that they absolutely adore, this couple is going to praise and thank you for giving them such a thoughtful gift. Plus, you have an opportunity to take a special, cherished moment from their lives together and turn it into a work of art. You’ll never have an opportunity to provide a more thoughtful gift than you do if you give this couple an amazing mounted photo that they can have forever to commemorate the special time in their lives. Flowers have the ability to really spruce up a room and bright and even the dullest spaces. So it makes sense to want to help your friends fill their home with gorgeous, bright, lovely scented flowers to help chase away the blues. Well, you have the ability to give them a gift that keeps on giving by giving them a subscription to a flower service. 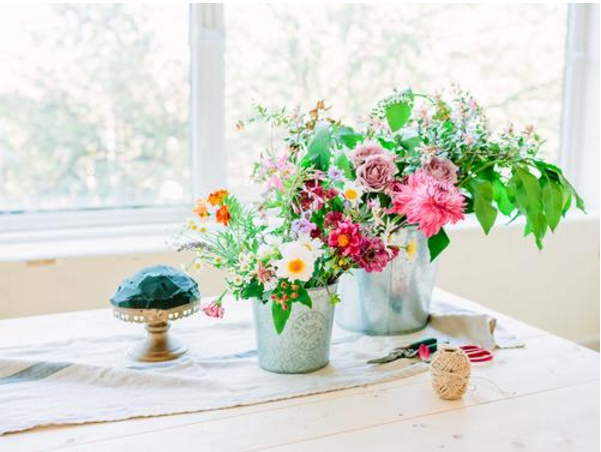 Yes, if you want to help this couple have happier and brighter days by filling their home with flowers, you can get them a subscription to a flower service that delivers flowers directly from the source. And you can choose the level of subscription that you desire. If you want your friends to get flowers every week, and you’re willing to pay for it, then by all means do so. There are also biweekly, monthly, and bimonthly services. This is a great gift to give to soon-to-be newlyweds. Getting through the first year of marriage is never easy, but when you have fresh flowers in your home most of the time it definitely helps to brighten the mood and make everyone happier. If you’re looking for the ideal gift for a newly engaged couple, please consider the options that we’ve shared with you today. They are fun, exciting, and exceptionally unique and your friends will absolutely love them!